Werner Herzog’s latest documentary Into the Abyss opens in select theaters in November. You know how I love a good Herzog documentary. Almost as much as Werner Herzog loves the words dreams, soul, and abyss. 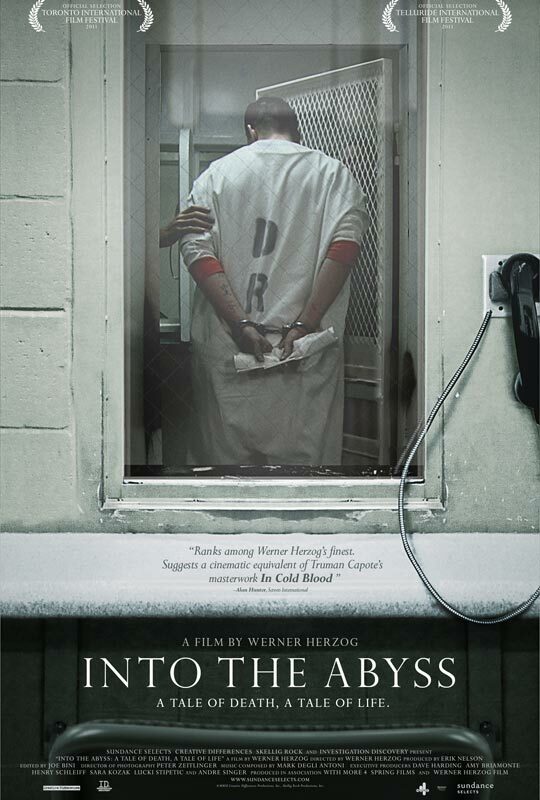 Into the Abyss focuses on death row inmate Michael Perry and his accomplice Jason Burkett. Both men blame the other for being responsible for their crime, which Burkett received a lesser sentence for. Herzog interviewed Perry 8 days before his execution in July 2010. Although Herzog claims to have no political intentions with the film, Into the Abyss is bound to contribute to the larger debate about capital punishment in the United States. The trailer (embedded below) is wonderfully Herzogian with eerie music, unmatched narration, and sound bites only Herzog could get from the people closest to the crime. Are you intrigued by what Werner Herzog will contribute to the capital punishment debate? He’s the only director who can make an apolitical political film. Sound off below.